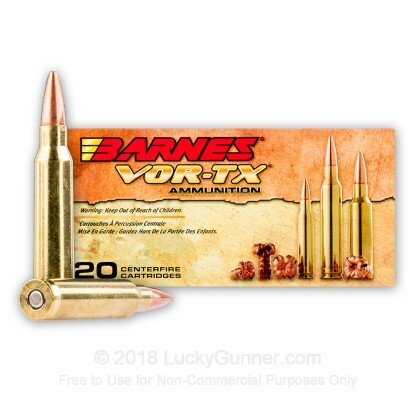 If you are into small and tough game hunting with your AR, then you should consider using this Barnes VOR-TX ammo. The reasons that this ammunition is superior to so many other options is clear. Barnes has designed this ammunition to be as precise as hand loads, and more lethal than any of its competitions. These rounds are loaded with a 70 grain TXS hollow point bullet, that has an all copper construction. What this means for the coyote, deer, and hog hunter, is immediate expansion with %100 percent weight retention, resulting in a very quick and human kill with a hit to the vitals. 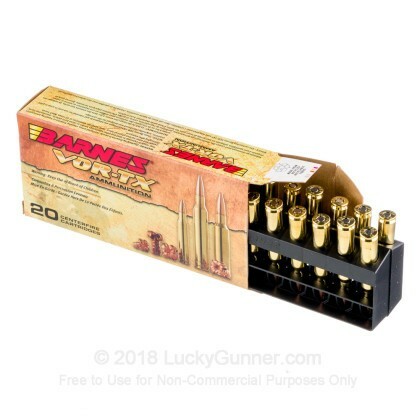 Each round in this box of 20 is loaded with a Boxer primed brass case, which is non-corrosive and reloadable. Works wonderfully in a 20-inch Wyled barrel. Love copper, but lot's of barrel cleaning! First of all not all ammo work the same with different barrels and twist. I have a few AR'S. My Armalite M15- with a 20 inch wylde barrel. Found nothing better. Not all ammo is made for every barrel. Mine has a 1-8 twist. So if you have a Wyled Barrel give it a try. I think you will be pleased! Shooting my Colt HBar 20 inch, 7 inch twist gave very poor accuracy and difficulty sighting in. Grouping were in the 14 inch range at 100 yards off a bench rest. 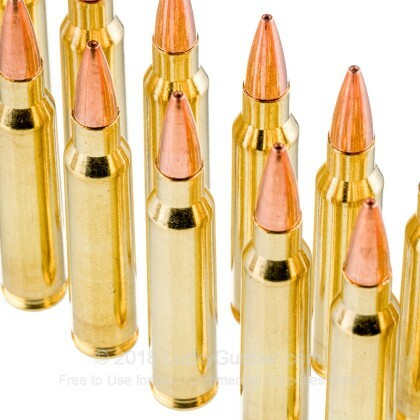 Going back the Federal 62 grain green tip immediately after yielded 1.5 inch groups. Probably the barrel twist. 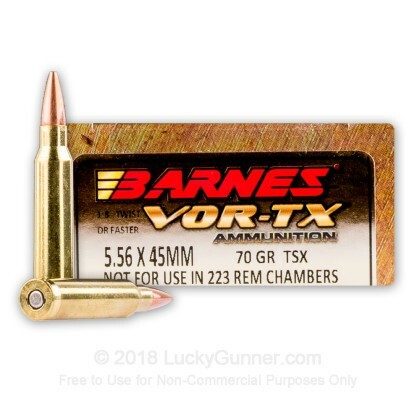 I'm going to order the Barnes VorTX in 62 grains and give it a try. I really like the idea of copper for hunting. I purchased this ammo for deer and hog hunting. 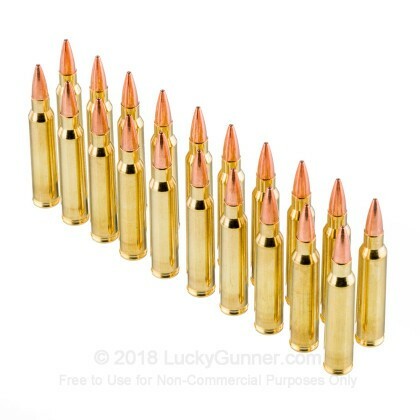 I believe ammunition used for that type hunting (especially when hunting with an AR-15) should have enough energy and weight for adequate penetration (pass through) to ensure an optimal blood trail. 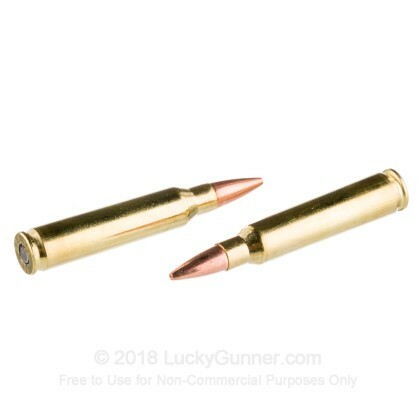 I haven't had the opportunity to hunt with it yet but it's definitely accurate ammo. Since 223/5.56 hunting bullets tend to fragment on impact, I figured this a better hunting option since lead contamination is a concern. Considering the quality of the round, I think $20 a box is a very reasonable price for what you get. I easily get MOA accuracy out of my home built Faxon 18" (rifle length gas) gunner barrel. Advertised velocity seems correct at 2850 fps based on my ballistic calculator data and actual shooting test at distance. Bullets and primers are both crimped which should result in good reliability for anyone using an AR-15. Q: Is this round suitable for a 1:9 rifiled barrel? A: This round will work from a 1:9 twist barrel. It is near the upper end of optimal but will still perform well.